A playlist inspired by The Killers! But if you’re just about to get into the groove for their January 31 concert at the SM Mall of Asia Concert Grounds, you’re in luck, buddy! We have made a short mixtape slash playlist for you. If you welcome our unsolicitated advice, we even tell you when to give each song a listen. 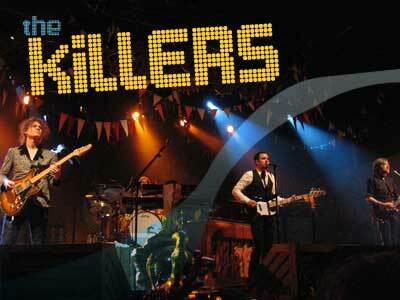 The Killers have never been this significant, we tell ya! Listen to when: Dying of jealousy toward anyone—an ex who has found a new love, an office crush who’s now going steady with a colleague, a celebrity who’s dating a magazine staffer (not from FHM). Or that boyish girl you met at the club who has now realized she really likes men—and trying to get over it the best way you can.